The main challenge of low-cost strap-down inertial navigation systems (SINSs) is time-growing positioning error due to erroneous measurements of micro-electro mechanical system (MEMS)-based inertial sensors. 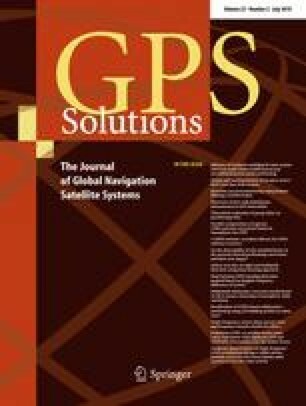 The global navigation satellite system (GNSS) provides drift-free positioning data that can be appropriately utilized to prevent the cumulative error of stand-alone SINS. The primary aim of this research is to enhance the positioning accuracy, performance, and reliability of low-cost SINS/GNSS-integrated navigation system. To attain this, we propose an applied data fusion algorithm for indirect centralized (IC) integrated SINS/GNSS. The proposed data fusion algorithm is based on fuzzy-adaptive constrained estimation filter. Velocity and altitude constraints are embedded in the integration scheme of the proposed SINS/GNSS system to preserve system reliability during abrupt GNSS outage. In an innovative way, the state constraints of altitude are defined based on the measurements of air-data sensors. The state estimation is effectively optimized since the respective states are projected on a constraint surface. Furthermore, a fuzzy type-2 inference system is developed for adaptively changing the covariance matrix of the estimation algorithm. Inertial measurements are used as the input of the fuzzy inference system. Accordingly, the state estimation algorithm is adaptively modified based on the vehicle’s maneuvering during the navigation trajectory. The proposed SINS/GNSS system is experimentally assessed through several vehicular tests. The results indicate that not only does the proposed algorithm improve the navigation accuracy, it will also enhance the reliability of the integrated navigation system during GNSS outage.